So, where is his brother? 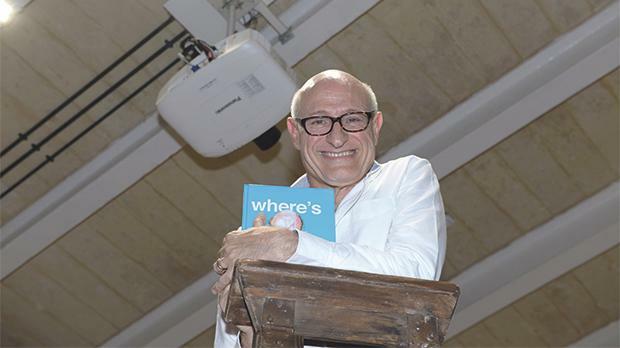 In light of the release of his first book, Jo Caruana sits down with well-known writer Victor Calleja to discuss his leap from columns to hilarious hardbacks. Interviewing a friend is always a bit of a challenge, and I consider Victor Calleja to be a great friend. You see, there’s all the catching up to do before you can get down to the business of interviewing. Then there’s the ‘let’s get on with it, for goodness sake’ determination before the relay into more chatting. And then the moment where, finally, you make some topical progress before, naturally, lapsing into another round of yakking. 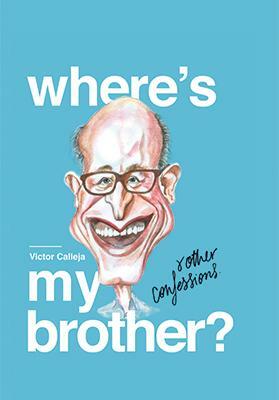 Nevertheless, I am pleased to say that, eventually, we got on-topic: the release of Calleja’s new book, Where’s My Brother & Other Confessions. For Calleja, a well-known blogger and columnist, this book is the culmination of decades of memories and stories. Although he only actually started writing professionally six years ago, he is a storyteller by nature and, beyond that, a story collector. He also admits to having an incredible memory and, as the youngest of five children, he was privy to all sorts of sights growing up. He’s always loved telling them too. At any event, Calleja will be found in the centre of a group, retelling one tale or another. People – including his wife and children – often told him they enjoyed listening and suggested he found a way to formalise them all… so he did. The story begins with his sister’s request to him ahead of her wedding: take a very particular Maltese wedding cake to Germany, where the event was taking place. “The cake was ordered from the top local confectionery at the time and, true to my sister’s character, everything had to be absolutely perfect and the cake needed to reach Germany in pristine condition so it could be enjoyed by her new German family. I was quite overwhelmed by the responsibility! “As the cake’s crowning glory, my sister had chosen gold perlini from Italy (rare at the time!) and I had passed them on to the confectioner for safe keeping. Unfortunately, he’d taken that request so seriously that, by the time it came to finishing the cake, the perlini were nowhere to be found and he was in quite a panic – as it turned out he’d hidden them in the safe and forgotten about it. Where’s My Brother & Other Confessions is on sale in bookshops and online at www.kitegroup.com.mt.